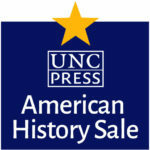 Welcome to the UNC Press 2019 American History Catalog! Save 40% on our new and recent books in Native American / Indigenous Studies — and on any UNC Press book. Plus, if your order totals $75.00 or more, shipping is free! Remember to enter promo code 01DAH40 at checkout! Browse these selected titles below. Click to view our complete list of Native American / Indigenous Studies titles.